The following article originally appeared in the Limerick Post. 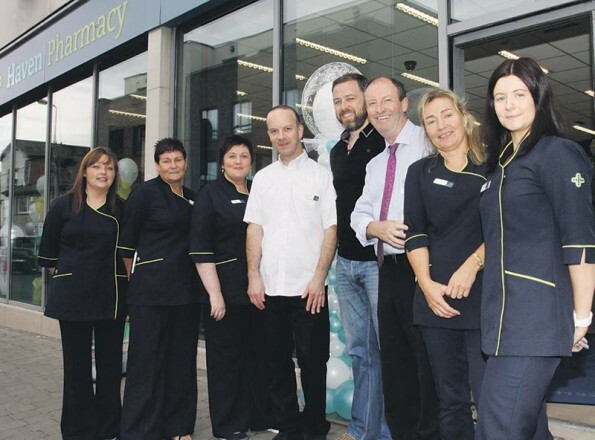 BILLY and his pharmacy team were delighted with the turn-out and warmth of last Friday July 10’s big day for the company and has special thanks for those who made its impact possible: “Marcus Horan was a credit to himself. He greeted all customers, stood for photos and even let the kids take photos with his precious Heineken and Six Nations medals – a true gentleman”. There was praise too for Sophie, the wonderful and talented face painter, Anthony aka Mickey Mouse who danced with all the kids; Boxes, Bows and Balloons, Corbally for the beautiful balloons on display in the pharmacy; Parle & Hickey, Jaymark and Celtic Candles for the spot prizes and a special thanks to the Charleville Park Hotel, Cork for the big prize give away. “And a big thank you to all our loyal customers who joined us on the day here at Haven Pharmacy,” Billy says. 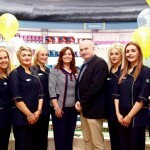 GIVEN its central location, close to bus stops and the bus/ railway station, Haven Pharmacy has been designed to appeal to the local customer and all their needs – retail, beauty, sun care, as well as pharmacy and consultation – with personal, friendly, experienced service and every respect for client confidentiality. “We are also committed to ongoing training which every staff member will benefit from in areas such as customer service, product knowledge, merchandising and professional services.” Billy would like to thank all his professional staff for their commitment and for embracing this new venture.